Price Reduced! Seller wants it SOLD... Spacious 5 bedrooms and 2 full baths property boasting over 1695 square feet of living area. This home will accommodate space for a large family... The corner lot offers lots of possibilities. Generous size lot offers multiple fruit bearing trees in the back yard. Your home is just a few minutes away from beautiful Hueneme sandy beaches. 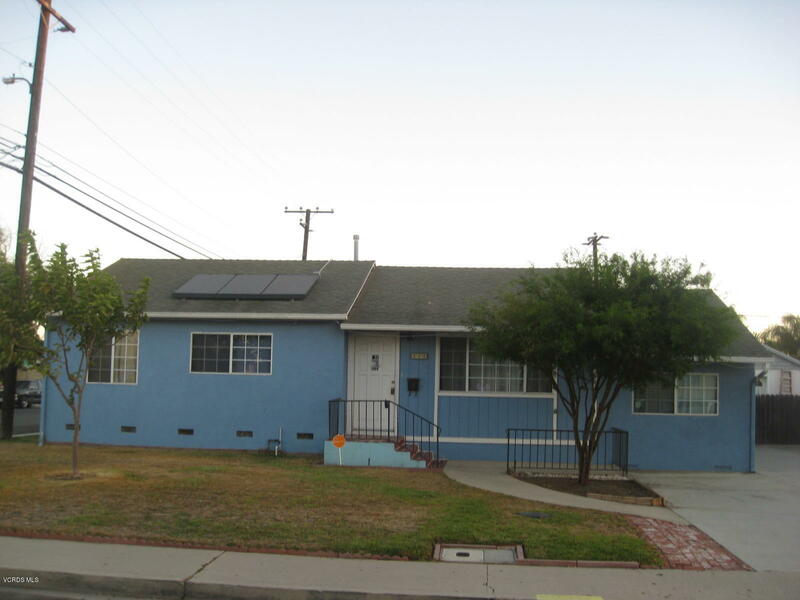 This property offers a energy efficient solar system. Your new home could accommodate space for 2 families, dividing home is 2 separate living areas.. Look no further, see it today!Call Max today to schedule a private showing at (805)320-4553 or email your request to maxmorrison@remax.net.